Second UPDATE: CCWG-Accountability co-Chairs to Hold Additional Briefing Webinar on Draft Proposal of Work Stream 1 Recommendations on December 16 from 20:00-21:30 UTC (time zone converter here). Webinars will be conducted in English. Live interpretation services are available in Arabic, Chinese, French, Spanish, Portuguese and Russian. For Webinar details and how to attend go here. Comment period CLOSES 21 Dec 2015 23:59 UTC. CCWG-Accountability - Draft Proposal on Work Stream 1 Recommendations now open for comments. Comments close 21 Dec 2015 23:59 UTC. More information below and here. Current Status: The CCWG-Accountability seeks community feedback on its Draft Proposal. You are invited to indicate your support for recommendations (see above) using the survey the CCWG-Accountability put together to facilitate submission of your comments--survey form located here. The questions align with each recommendation contained in the Draft Proposal on Work Stream 1 Recommendations. Each proposal contains one question designed to determine whether the broad community supports the recommended enhancements as well as a comment box to capture feedback for each proposed change. In addition, a box for any additional input, including on broader topics e.g. Stress Tests, compliance with NTIA criteria and CWG-Stewardship requirements is included in the survey. Source of the above: ICANN CCWG-Accountability, icann.org. 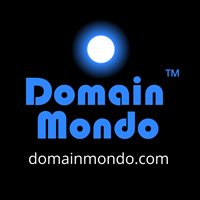 See also on Domain Mondo: IANA, ICANN Accountability, CCWG Crunch Time! Midnight Deadlines!